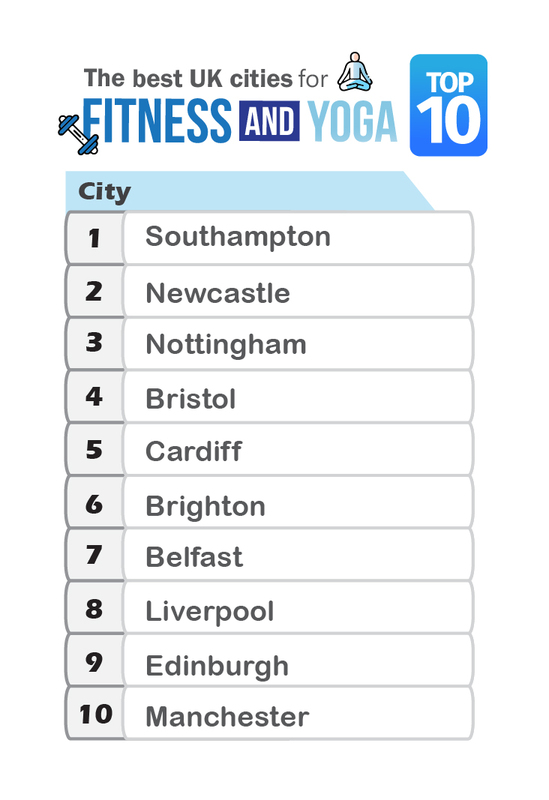 Brighton, Cardiff, Nottingham, Newcastle, and Southampton are the best places to live for vegans, sports fans, live music lovers, local beers and spirits, culture vultures, and fitness fanatics. Every year, cities are ranked by quality of life - usually taking into account things like average income, house prices, school standards, and levels of crime. These are all important things, but at Mojo Mortgages we realise there’s more to a place than a good school and decent average wage. And so, we present to you the Alternative Best Places to Live in the UK. We’ve looked at a variety of lifestyle choices in each of Britain’s cities, cross-referenced that data with the city populations and statistically calculated the best cities to live in. So, whether you’re a lover of vegan cuisine, a diehard sports fan, someone who’s addicted to seeing live music, passionate about the arts, a keen drinker of local beers and spirits, or one of the health and fitness conscious, read on to find out which city is best for you. If you’re a vegan, Brighton is flat out the best place for you to live. ‘London by the sea’ has more vegan restaurants than any other city in the UK (apart from the Capital), and with a relatively small population of around 270,000, it means there’s plenty of tasty food to go around. Along with favourites like Purezza, Terre a Terre and The Green Kitchen, there are also vegan festivals that Brighton hosts each year, such as Brighton Viva and Vegfest! 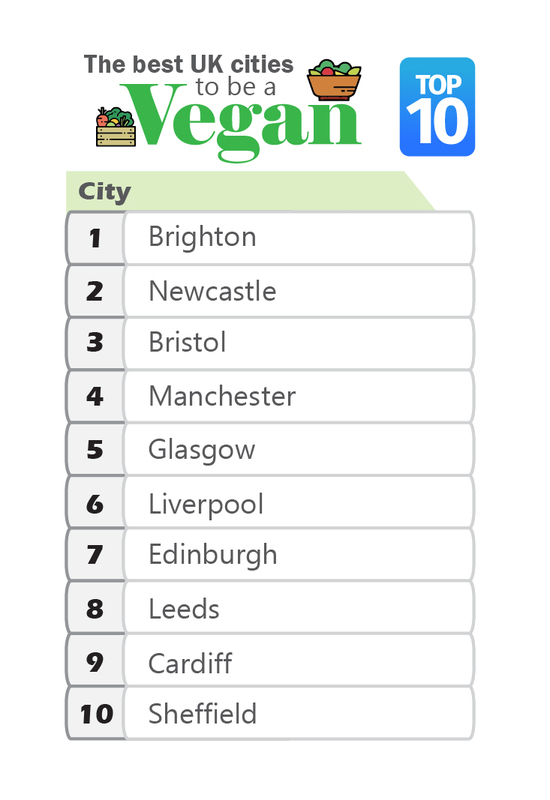 In second place, we see Newcastle, closely followed by two staple vegan favourites: Bristol, and Manchester. The Allotment in Manchester was named as the vegetarian restaurant of the year by The Times. Cardiff comes in first place if you want to live in a city that has the most sport going on. Calculated on the level of professional football, rugby, cricket, and other sports that are played in the city, cross-referenced with population size, Cardiff has the best variety of sport in the UK. The Welsh Capital has Premier League relegation scrappers Cardiff City, Pro 14’s Cardiff Blues, Glamorgan County Cricket Club at Sophia Gardens, and not to forget the Welsh national football and rugby stadium, Principality Stadium. Following behind Cardiff are northern football heavyweights Newcastle and Manchester, while Glaswegians are equally spoilt for live sport in their city. 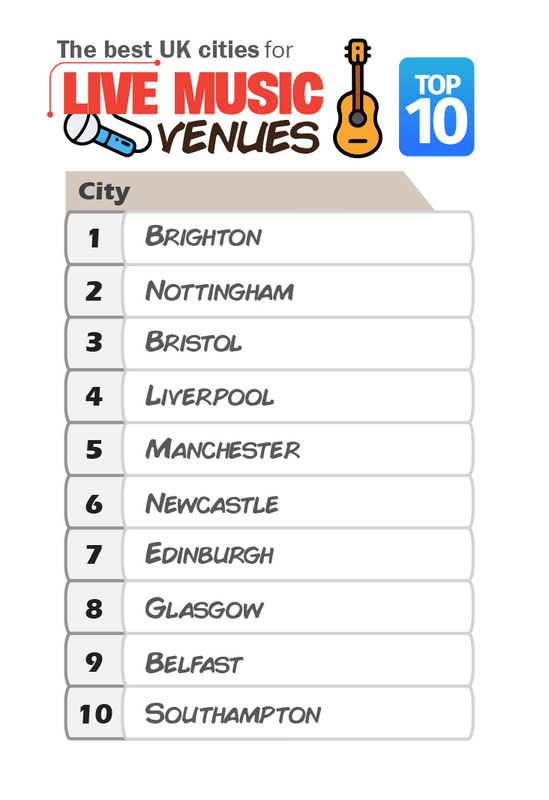 When it comes to live music, the UK is certainly the place to be with over 770 venues across its major cities. We venture back down to the Sussex coast to find the best place for live music - yes, Brighton comes up trumps again! 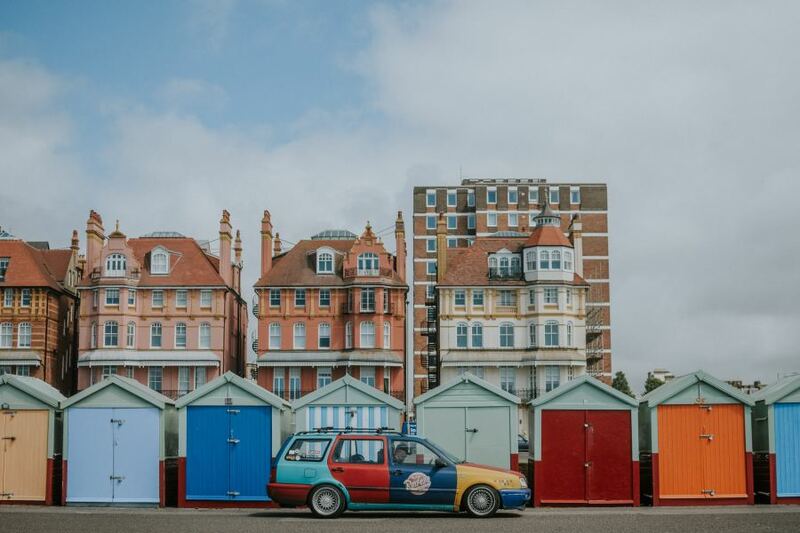 With 38 lives music venues like the Brighton Centre, and notable artists such as Fatboy Slim and The Kooks hailing from Brighton, it’s no surprise this coastal town is the best place to live for live music. Nottingham, with its famous Rock City and 33 other venues comes in second place, while Bristol, Liverpool and Manchester all boast thriving live music scenes. Fancy a tipple? Perhaps you’re into local beers? If so, the best city to live for you is Newcastle! Once home of the legendary Newcastle Brown Ale, The Toon has over 15 breweries and microbreweries, as well as a couple of distilleries including the Newcastle Gin company. Bristol follows next, due to its abundance of west country breweries including Arbor Ales and Butcombe Brewery. In third and fourth place are Edinburgh and Glasgow, which boast the most distilleries in the UK. Between them are more than 30. Unsurprisingly they’re mostly whisky – notably the Clydeside Distillery and the North British Distillery Company. 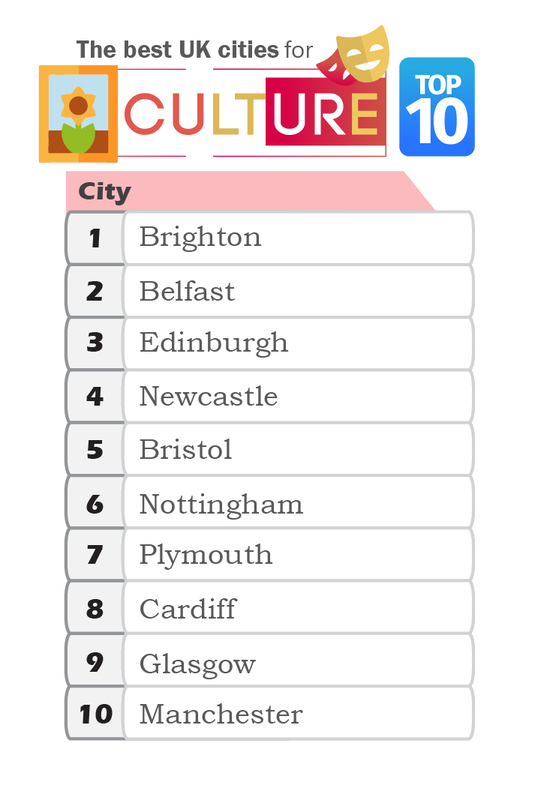 If you’re a culture lover, Brighton is the number one location to live. We’ve looked at the number of art galleries, theatres and museums, in relation to population size, and Brighton, with a total of 79 points, comes out on top. Some of the most recognised cultural attractions in Brighton are the Brighton Museum and Art Gallery at the Royal Pavilion, and the Theatre Royal Brighton. Cross over the Irish sea to find our second placed hotspot for culture in the UK. Belfast has a cracking variety of galleries, theatres and museums, most notably the Titanic Museum and Catalyst Arts Gallery. Mad about fitness and yoga? Southampton is the place for you. With a total of 182 places to exercise, Southampton’s relatively low population means there’s plenty of weights, treadmills and yoga mats available for everyone. 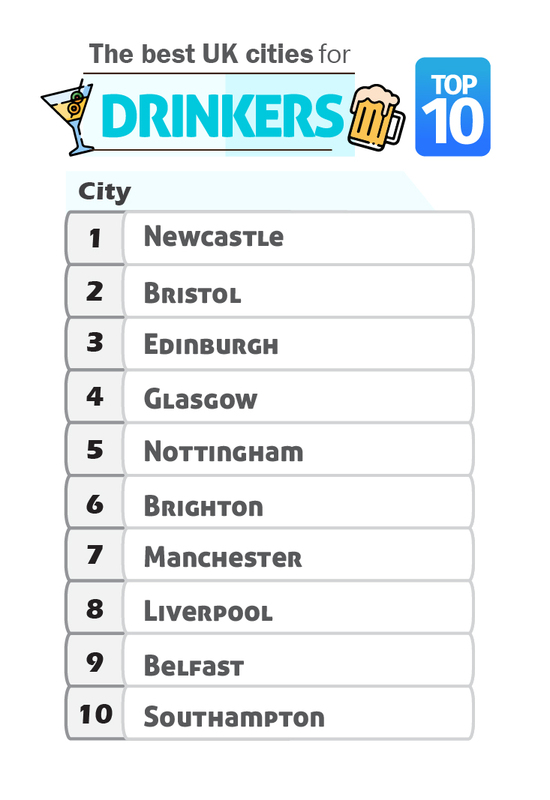 Newcastle arrives in a close second, with Nottingham in third. In fourth, we see Bristol enter the fray with more than 100 yoga instructors – namaste!